There are things about sport climbing and redpointing that no other person can instill in one another, or at least no one had ever told me. Some people say trying hard is the only thing that you can’t teach, but in my own life I found more than that to be missing. There’s a drive, a devotion, a mental capacity and strength that isn’t always innate (especially for me). An ability to tell yourself that you can do something and actually believe it, even if it’s not logical. In the past, I’ve had very negative experiences projecting. My failure to accept small gains or believe that a route was possible, led me half-heartedly to try but then eventually give up. I’d learned to sport climb without a mentor or anyone to explain how to adapt from bouldering and it felt like almost a different sport to me. What if it’s to too hard for me? What if I pick the wrong route? What if I just waste my time? Last year I decided to challenge myself bouldering and I stepped out of my comfort zone. I tried something that made no sense. I couldn’t do any of the moves and I couldn’t figure out the beta easily either. It was a complete puzzle. But about 2.5 weeks of trying it later, my body had completely adjusted and my mind was open to the possibility and I was able to do it. When we look at a route or problem as something measured more in time than in ability, the motivation shifts. The finish is always in sight. Success is constant, from each joyful moment of progression. This year I wanted to experience the same progression but on a route. I hadn’t tried anything for longer than 10 days previously but then, I had failed. It had been a defeating process, leaving me more discouraged than before. I tried to pick routes at my ability but struggled. I wondered, am I ever going to climb something harder? I’d always found climbing on a rope much more stressful, each clip full of fear and anxiety, consequences greater, demands on time immense, far surpassing just a boulder. After sport climbing for a few years sending consistently 8a, despite my boulder grade progressing steadily, I was climbing the same grades. Then something strange happened, I got injured. In my injury I was climbing about V4 in the gym, taking it easy and careful of the pain in my knuckle from a collateral sprain. While only able to climb V4, I found myself sending an 8a. How could I still send an 8a, my top grade, and be about 1/3 as strong? It made no sense to me. Out of curiosity and encouragement from my partner Molly Mitchell, not to mention the pure fact that the local Vegas crag didn’t have many climbs 8a+-8b, I picked an 8b+ project. Although 8b+ to many professionals is a warm up, this grade felt unachievable and intimidating to me. It started on a 7b+/12c pitch and I couldn’t even do the 7b+/12c for 3 days, a grade I can typically onsight on this climbing style when in shape. All logic pointed to not try this route. But somehow I didn’t let this stop me from trying. 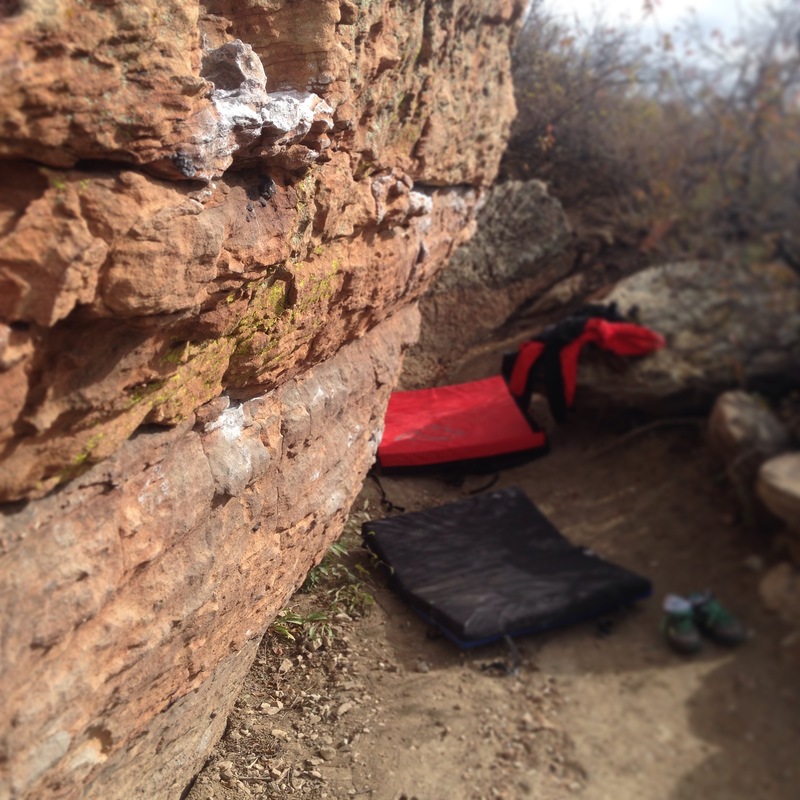 It took another 3 – 4 days to re-send the 7b+ pitch in order to even start redpointing. A full-stretch, powerful move on small feet made the 7b+ extremely droppable and the 5m whip each time made me scream at the top of my lungs. 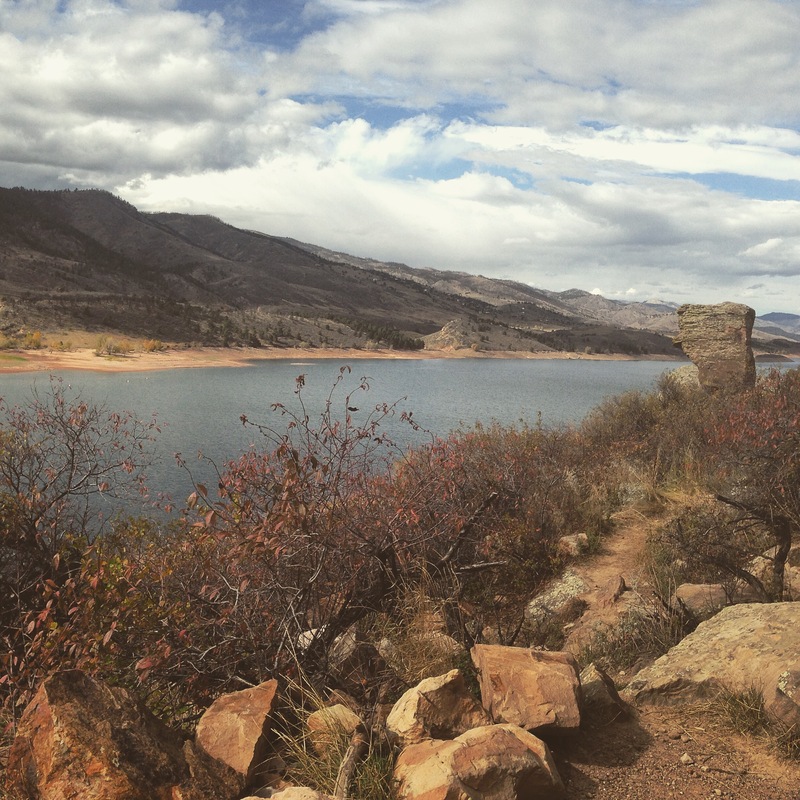 I found that my fear was crippling me on all parts of the route. I tried to tell myself the transition after not climbing limestone for almost a year was just a phase. My body had lost all of my fitness for climbing vertical crimpy routes and instead only powerful overhangs from the Red River Gorge and Red Rocks. My forearms burned on each go and my mind riddled with the stress of small feet and hands. The moves were a mix of powerful and technical. The climb was a 45m pitch and until me hadn’t been sent by a woman. Those who know me know I typically only climb up to 25m max, as I have mainly bouldered for most of my climbing career and struggle to gain route fitness. It had obviously not been climbed this year. There was no chalk and I spent hours trying to find my sequence. With sharp holds, a mono slab to finish and insecure clips with a power endurance finish on bad feet – I’d accidentally chosen everything I disliked in climbing. After time passed, I progressed, but so slowly and in such volatile chunks, I wasn’t never sure I would be able to send it. Each go took over an hour to learn something subtle. It was so time consuming you could only red point 1- 2 times a day. To get to the harder section I had to climb the 30m 7b+/12c so by the time I got to the extension, I was often too tired or demotivated to work the harder moves. I found it mentally exhausting to be so high up, to be constantly run out, and to climb for more than an hour each go. It wasn’t unusual for me to never go to the top of the climb. Again, all logic pointing to stop trying the climb. It was by no means a quick process. But over the span of almost 2 months, I felt a slow transition from extreme fatigue and fear to then going to the top every time. I felt like a different climber. To evolve into not even noticing when I took the 5m whip, and confidently clipping draws on the slab was an incredible and wonderful feeling. But the progress was so slow, I started to doubt myself and become very discouraged, I faced the fear that everyone faces – have I picked a climb that I am actually not physically able to do? I was unable to do the moves properly until I had practiced them so much that they felt second nature and could do them without getting stressed. But even so I wasn’t making it through the crux. I realised that what was holding me back was my mind. Sometimes the only thing holding us back is our confidence. It was only when I was relaxed that would I get a high point. Maybe I’m over dramatizing the process, but for me, everything was different on a rope. When you have to try hard consistently and stay focused for 45m, the drive to finish seemed to diminish as I climedb higher. When I was 5m from the top, I was tired and unmotivated to push on. I still didn’t know if I was capable of this climb. Could I do it? I wasn’t sure, but I needed to find a way to try my absolutely hardest. When I started, it felt impossible, but the route had turned into something that I could maybe do. But in the end, I just felt discouraged. It became a mental battle. I sought the council of friends, of those who had encouraged me to try the route in the beginning. I didn’t believe that I was capable of the climb, but they reassured me that I could. I don’t know if they actually believed if I could or not, but no one ever said otherwise. It almost didn’t matter if they believe what they said to me, because it was just the kindness and support that I needed. I couldn’t find the confidence in myself, but somehow I found the confidence in their words. If they thought I could do it, maybe I could. Maybe it was true. And then one day I did it. Stay tuned for another blog coming up on The Mental Strategies and Redpoint Tactics that I applied in order to prepare my head for each try. Subscribe to make sure you don’t miss it. 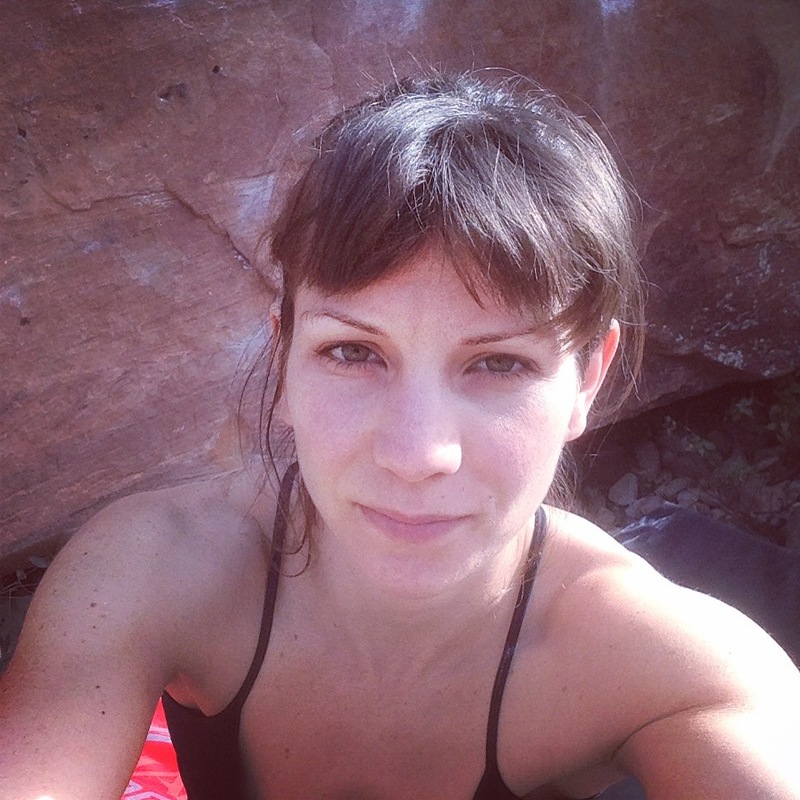 In the switch from winter to summer, I went from climbing indoor blocs in London at the Blokfest series to started to summer sport climbing outdoors in the Peak District and up in Yorkshire at Malham and Kilnsey. I won’t get started on the indoor vs outdoor argument, but in making the switch, I found more than anything that I was slipping off constantly. Either my footwork was rubbish or was it my shoes? At the time I was climbing in my La Sportiva shoes (a variety) and getting a bit frustrated so willing to do anything to keep my feet on I decided to try Scarpa for the first time and went for the Vapour V.
Okay, so I have the tendency to be a little over excited, but I slipped on the Scarpa Vapour V and I found that it was much easier to edge, to heel hook and even to press my toes on far away footholds. My core hadn’t gotten stronger, my hamstrings certainly hadn’t been trained, so it had to be down to the shoes. The Scarpa Vapour V are actually a woman’s specific shoe boasting to be the best all-round shoe. The Scarpa website describes them as a precise and versatile shoe, which they claim as their best-seller. The Vapour V have ever so slightly downturned toes while the shoe is generally flat, so the result is they still works for overhangs and small footholds. What makes the shoes so special, however, is probably their unique randing, which is how they put the rubber on the shoe. They use a Bi-Tension Randing which pulls from the toes back towards the heel, and in turn makes the shoe feel more part of your foot and snug, so pressing onto small footholds is a lot easier. Their Ultra Thin Flexan Support is their unique arch support that basically means the shoes are mostly flat but supportive and flexible enough that you can wear them on longer climbs on on multi-pitch routes, which I found to be true. I wore them all day without a problem. Equipped with the tried and tested Vibram® XS Edge rubber, their stickiness was one of their best attributes, which no doubt contributes to the ease with which you can switch from straight-up climbing to overhangs without feeling like you have to change shoes. These are a pretty stellar all-round shoe. Compared to some of the other shoes on the market claiming to be all-round such as the La Sportiva or Five Ten, I felt that the Scarpa were more successful in the sense that they were fine for all day wear and any type of climbing. They could be used on difficult overhangs as well as tackle small footholds on a slab. On my trip sport climbing to Malham, I found the shoes perfect on the polished and small footholds that otherwise, would’ve sent me reeling. The shoes more than excelled my expectations and I could focus on the moves and the climbing, rather than my feet slipping off constantly. 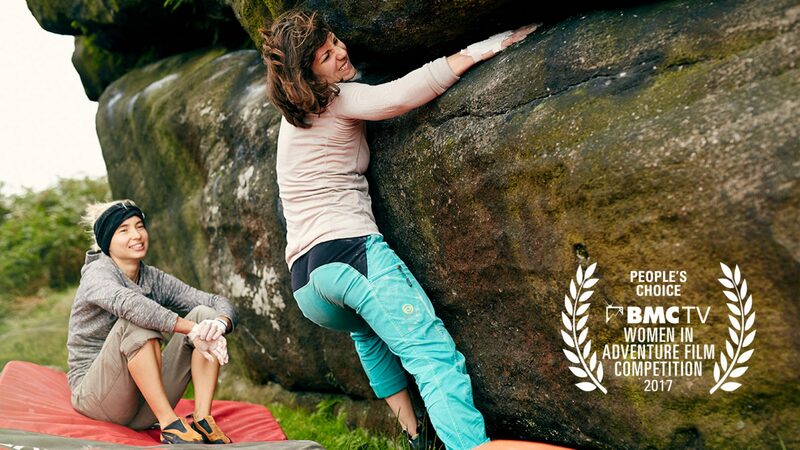 At Raven Tor in the Peak District, I tested them bouldering as well and found that on the overhanging and small footholds that the toes stuck extremely well. No doubt the result of the unique randing and the downturn toes. Heel-hooking, I expected them to be lacking as the heel was a little bit loose, but instead they stayed in place, well enough for me to work the moves of the Weedkiller Traverse (7a+) in the cave. I think the one setback was where the fit was concerned. I originally ordered the Scarpa Vapour V in a 37.5 which is one whole size down from my normal shoe size 38.5. I read up online and I was told that this would be suitable, but when my shoes arrives, I couldn’t even put them on. I went into a shop and tried on a few pairs and the only ones I could even put on were my exact street shoe size 38.5. When my 38.5 arrived they were extremely tight at first, but I found that they stretched very quickly (within 2-3 sessions) and then they were very comfortable. But over time I found that they continued to stretch and that the heel and the arch became a bit loose. It’s important to note though, that I was still able to use them climbing on the same type of blocks despite being a bit lose on the heel, heel hooking was still very solid. For next time though, I think I will buy a half-size down and take a few painful sessions of breaking in to gain the perfect fit. At the risk of sounding like a Scarpa convert, I’ll definitely be buying these again. I stepped out of the car and despite my apprehension, a seemingly normal looking man stood before me. He rushed over and gave me a hug, his voice dripping with a southern drawl. I wasn’t just in America, now I was in Kentucky. All seemed well and with no other option, I followed him and his buoyant, chubby black lab into the massive house behind. Bright yellow walls and an exposed wood kitchen welcomed us. The house was more than big enough for a family of six. He led me down the stairs into a basement. I hadn’t seen a house this big in years. ‘And this is my freezer, where I keep all my meat, ’ he said with a smile, red packages glinting as he snapped the door shut. But tiredness blurred any worry and I sleepily said goodnight, watching the many bottles of Jack Daniels lining the shelf near the ceiling slowly shrink. I lay down in extremely soft bed, my eyes jumping to the lock on the door, thinking of the stranger just a few steps away in his bedroom. And in that moment, I felt the complete emptiness of being alone, thinking how different things would have been if my partner had been here. If I didn’t have to trust this stranger, when all the signs pointed to ‘Run-away!’ But despite the nagging reminder of the deep freeze in the basement, I felt I had no choice. And in a bold moment of trust in the moment, I even left the door unlocked, finding sleep as the morning promised a first day climbing. The next day as I sat in the front of the black truck and made small talk, I did my best to remember the gravel-covered roads and church signs marking the way to one of the main areas in the Red, the PMRP, Pendergrass–Murray Recreational Preserve. It was 25 degrees Celsius and sweat poured down my back ans mosquitoes bit my legs as I tried to stay positive. But it really wasn’t hard taking in the sweeping sandstone pockets and massive overhangs, the signature of the Red. I offered to belay first, quickly deciding that I would scope out my unknown partner and host. But then he was quickly down and it was my turn. No more excuses to be had. My heart started to beat faster and I tied in, careful to show that I knew what I was doing. I stripped off my top; it was too hot to climb with proper clothes. My armpits dripped and palms were soaked. This wasn’t climbing, this was survival. It was only a 6b but my biceps and forearms burst with the pump, but I couldn’t fall off. I didn’t know this guy, but not only that; I had a reputation to live up to. Before I arrived, I had been included in a group message telling all these Kentucky locals that I was a 7c+/13 climber and above. A message obviously shared to let them know I wasn’t going to sketch them out with a dodgy belay. But in turn I felt under pressure to live up to these claims. They’d made assumptions and heard rumours and then I’d arrived, not knowing how my body would feels but I felt I to perform. And here I was on the other end, not knowing the climber holding the grigri, but where was the pressure on him? I felt I had to perform but did he? I had never been in this position before – under the pressure, again to perform, but in a different way. This time it was to ensure the other’s safety and to live up to the words said about me before. I had to onsight this 6b otherwise they might think me a hypocrite, a poser, a liar. But the nervousness made me even more pumped, and as my forearms exploded from the holds, the rippled open-handed jugs, burning into the bottom of my forearms, I quickly learned why the Red was famous for shutting people down. My heart fluttered the whole way to the top but I sent it. I had to. Then I battled through a 6c and a 7a+ to follow, but the adrenaline left me exhausted, skin shredded, and callouses torn from my palms in the heat and humidity. I’d gone climbing, but I couldn’t be sure I was having fun yet.